Our first raspberry variety to bloom. Medium sized fruit. The berries tend to be softer and not hold up as well for freezing, but are great berries for fresh eating and preserves. Our largest raspberry, very firm and great for freezing whole. Seeds are quite large so most people like to strain them out when making jam. 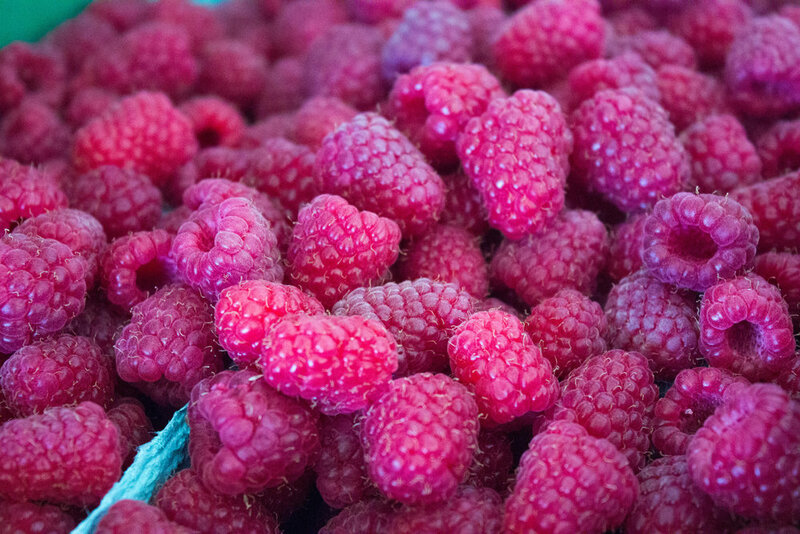 Our smallest raspberry, farm favorite for fresh eating. Their low amount of seeds make them great for jam. Beautiful berry that comes on later in the season. Sweeter than most raspberries. Makes a great jam.